A catfish rod needs to be durable. It needs to be able to withstand large amounts of stress and abuse from strong catfish. This guide will help you find the best catfish rod. It also should be easy to maneuver, so as to allow for a a good fight. Catfish anglers tend to go after three main species of catfish: blues, channels, and flatheads. There are many different catfish species. Each species may require a different fishing technique. This makes selecting the right catfish rod extremely important. 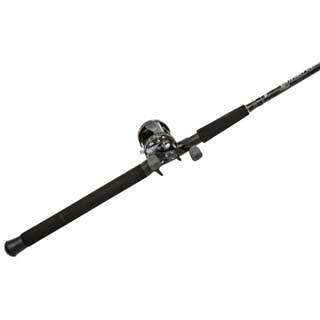 Generally speaking, catfish rods can come in two different styles: spinning reels and bait casting reels. More often than not, the best catfish rods will come in a baitcasting style. By nature, bait casting reels and rods allow for greater strength and control when wrangling a fighting fish. Most anglers agree that the best course to take when looking for a high-quality catfish rod is to focus on baitcasting setups instead. While some catfish rods are indeed made for spinning reels, they are few and far between. Fishing equipment manufacturers have shifted their focus to making baitcasting catfish rods instead. For those who prefer to use a spinning reel, however, this review will highlight one top-rated spinning rod and reel catfish setup. It can be hard to shop for catfish rods. It seems that most rods are aimed at species like bass. As a result, finding the best catfish rods means knowing what to look for in a good baitcasting rod. ​To find the best catfish rods on the market, this review will take a look at the top-rated rods. Each of these five rods has been reviewed for their strength and durability. I'll also cover some of the pros and cons of these rods. Experienced anglers will likely find no surprise at seeing the Shakespeare Ugly Stik as one of the top-rated catfish rods. The Ugly Stik line has a long history of high performance, and this catfish rod is no different. The patented Ugly Stik clear tip provides enhanced sensitivity, making it easier for anglers to see and feel the pull of a biting fish. The one-piece stainless steel guides work to enhance the overall durability of the rod, working to ensure that the fishing line stays in place even throughout the toughest of battles. Comfortable EVA grips with rubber gimbal help keep this catfish rod where it belongs, firmly and safely within your hands. When struggling to bring in a heavy catfish, this feature proves to be particularly important. The EVA foam is not only comfortable to hold, but it resists becoming slick and slippery when splashed with water. Though there are two available models—7’ and 8’—the best option for catfish anglers will likely be the 8’ model. Generally speaking, a longer rod will allow for greater leverage and control over hooked fish, two key components to successful catfishing. This casting rod from Entsport is perfectly suited as a catfish rod, due to its high levels of durability and strength. The carbon fiber construction is incredibly strong, managing to maximize overall strength while improving sensitivity. Despite the strength of this catfish rod, the carbon fiber, and graphite components manages to keep it as lightweight as possible, simultaneously keeping fatigue to a minimum. The 6+1 line guides are spaced to optimize line flow and decrease friction to create enhanced casting performance. As an additional benefit, the line guides are made to resist corrosion, which results in a long-lasting rod. The high-density EVA increases sensitivity and makes holding the rod for longer periods of time into a much more comfortable experience. For anglers looking to bring in tough-fighting catfish, the Entsport 2-piece casting rod offers maximum comfort and durability, making it a top choice for a catfish rod. 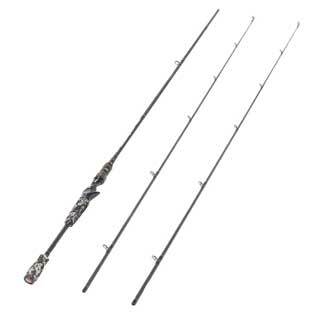 The Okuma name is widely recognized for producing high-quality fishing equipment, and the Okuma Battle Cat Casting Rod is one in a long line of innovative and reliable products. 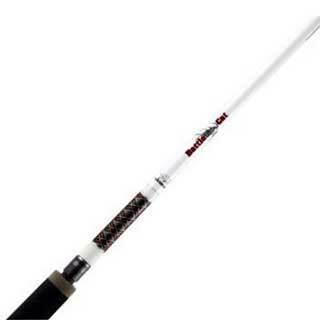 The blank is made of durable E-glass, making this rod sensitive enough to feel smaller catfish biting, and durable enough to reel in larger catfish. With a fluorescent wrapped tip, anglers can rest assured that they will be able to see the rod tip amidst even the murkiest environmental conditions, improving nighttime visibility. Although the rod is made of two pieces, the butting in the handle allows the rod to look and feel like a solid, one-piece rod. The ability to break down into two pieces also allows for easy transportation, making this an altogether convenient catfish rod. 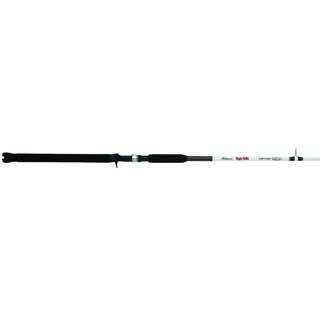 Reviews praise the Okuma Battle Cat Casting Rod for handling heavy loads and strong fights, making this one of the best heavy-duty catfish rods available. Anglers who would prefer to use a spinning rod and reel to catch catfish are in luck, as Ardent provides an excellent rod and reel combination to fit the bill. While spinning rods and reels may not often be used to catch catfish, they do have their selling points. Where they shine is in their ability to bring in smaller catfish species, as well as their ease of use. For younger or newer catfish anglers, the Ardent Combo Catfish Rod is an ideal setup. The fiberglass rod construction promises high durability, even in the toughest of conditions. Along with the fiberglass construction, this catfish rod also comes fully equipped with aluminum oxide guides and a full EVA grip. Anglers can rest assured that holding this rod for long periods of time will be comfortable and easy, allowing for longer fishing trips. The included reel comes with a 5.5:1 gear ratio, allowing for strength and power to reel in that 20lb. catfish. As an additional benefit, the spool itself is composed of cold forged aluminum, decreasing overall weight while increasing durability. Though it might come at a higher price point than the other top-rated rods, the Catfish Commando Combo from Abu Garcia certainly comes with a high level of value. 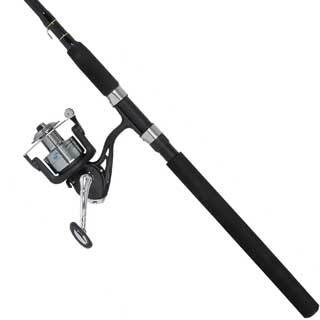 The Abu Garcia name has been a trusted fishing equipment manufacturer for decades, and catfish anglers have been piling on positive reviews for this high-quality rod and reel combo. The included reel comes with two ball bearings and a Carbon Matrix drag system, ensuring that big catfish can be reeled in with efficiency and power. The synchronized level wind system improves both line lay and cast accuracy, allowing for greater and more precise casting. The rod itself features a unique, compact bent handle. By bending the handle slightly, this improves the overall accessibility and comfort of the handle. With high-density EVA handles and stainless steel guides, catfish anglers will find themselves well-equipped to handle tough, struggling catfish. Looking for catfish rods can certainly be a detailed process, particularly when there are so many options for standalone rods, rod and reel combinations, or even between bait casting and spinning. No matter what type of catfish rod you choose, keep in mind that there are specific features to look for in a catfish rod. Looking for these features will help ensure that your catfish rod is both durable enough and strong enough to withstand the fight that catfish are so notorious for. Identifying the species of catfish you are after will make a great deal of difference in the type of rod you purchase. Some catfish rods are better suited for other species than others. For example, the best Channel catfish rods will have medium power to allow for finesse and technique when bringing in the catfish. On the other hand, for catching Blue, Flathead, and Big Channel catfish, the best catfish rods will have either medium-heavy or heavy power. The type of catfish rod you choose should align with the type of fishing techniques that you plan to use. Rod action will determine flexibility, which will in turn help determine what sort of fishing techniques the rod is best suited for. Keep in mind that slow action rods will have the greatest amount of flexibility throughout the length of the rod, while fast action rods will flex primarily at the tip. Just like with longer rod lengths, longer handles provide increased strength and control. If you are planning on fishing for larger catfish species, you’ll want to look for a catfish rod that has a longer handle. Not only does this allow for more power and control, but it also makes the catfish rod more versatile, allowing for the rod to be handled in a variety of different positions. No matter what catfish rod you choose, the most important thing is to get out on the water and start developing your own techniques, patterns, and preferences. Learning how to find the best catfish rod is often determined by anglers learning their own style, but looking at the top-rated catfish rods can certainly help. By taking an in-depth look at the catfish rods that have consistently gotten great reviews, catfish anglers can pinpoint the best catfish rod to enhance fishing performance and results.